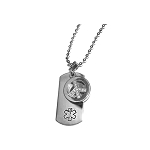 Check out our new selection of Medical ID Dog Tag Necklaces! 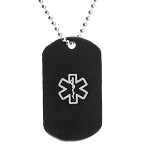 New styles include stainless steel silver tone, black plated stainless steel and titanium. 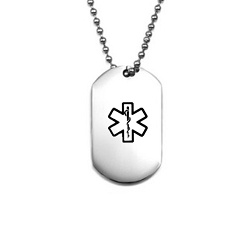 Other Dog Tag styles are available in sterling silver and yellow gold. 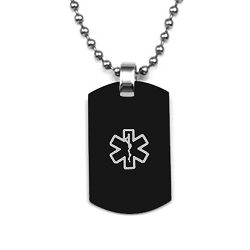 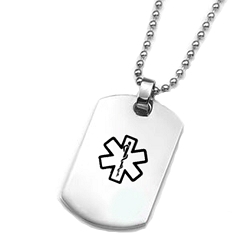 Engrave your medical and emergency contact information on your tag so your tag can speak for you when you cannot.